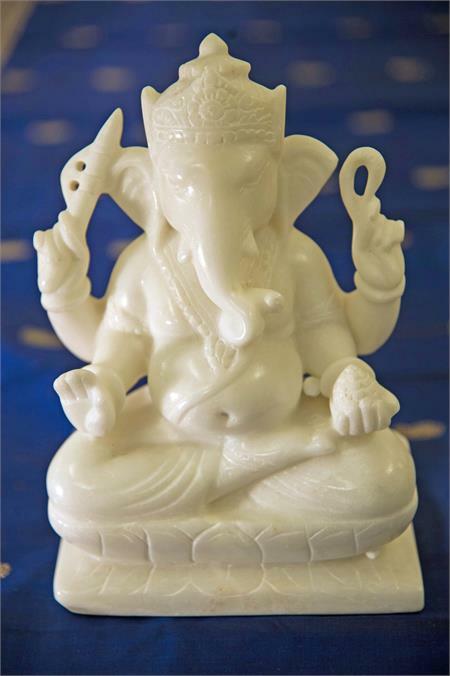 This classic statue of Lord Ganesh, the Remover of Obstacles, shows him seated on a lotus, with four arms. His trunk turns in the auspicious direction. Hand-carved in white marble in India.